1. First of all, configuration of switches in HQ and branch office of the enterprise. 2. 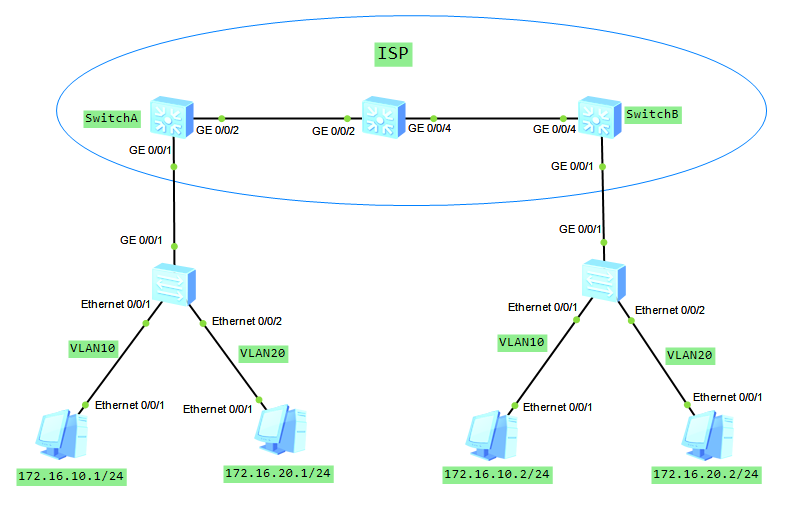 Farthermore, create VLANs 100 and 200 on all ISP switches. Below SwitchA as an example. 4. Configure selective QinQ on interfaces of SwitchA and SwitchB. Please notice that selective QinQ can only be enabled on hybrid interfaces and is valid only for incoming packets. Outer VLAN tags will be removed from outgoing frames and transmitted as 802.1Q towards enterprise switches. 5. 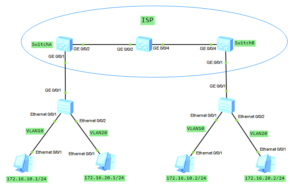 Check communication between PCs in the same VLANs. And finally, communication between VLANs is blocked as we assumed.